The antibody market is a key growth area for biologics, re-energising pharma R&D and delivering next-generation medicines.For Roche, the world’s biggest biologics company, Asia is a key part of the company’s future strategy, thanks to the region’s boom in antibody development, opening the door to new collaborations. The R&D sites of most big pharmaceutical companies are undergoing significant change. Historically, Big Pharma has focussed on the development of small, chemical molecules but in recent times, investment has broadened to include the development of large molecule biologics, such as therapeutic proteins and monoclonal antibodies. Roche has approximately sixty per cent of its pipeline invested in biologics and has already seen the benefits of early blockbuster biologics such as Avastin and Herceptin in targeted cancer therapies. According to the industry research analysts BCC Research, other companies are set to follow suit. It predicts that sixty per cent of future growth in pharmaceuticals will come from biologics, with annual sales increasing to up to US$ 30 billion by 2010 compared to a US$ 13 billion increase from small molecules (Figure 1). 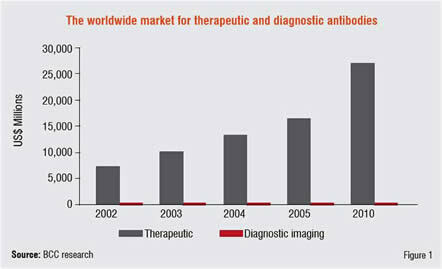 The growth in biologics is fuelled primarily by monoclonal antibodies (mAbs). Hailed by many as the medicines of the future, mAbs deliver a targeted attack on specific disease-causing cells and have proven effective across a broad range of disease areas, including autoimmune, cardiovascular, infectious diseases, cancer and inflammation. Offering potentially higher efficacy than conventional medicines, the mAbs also offer advantages of low or negligible toxicity and are able to inflict a direct attack on their target, as well as acting as a carrier to deliver other drugs to target. At the same time as mAb growth starts to overtake traditional small molecules, the search for new antibody technologies is spreading beyond the traditional pharmaceutical markets of the US and Europe to emerging markets, such as Asia. The reasons are clear. 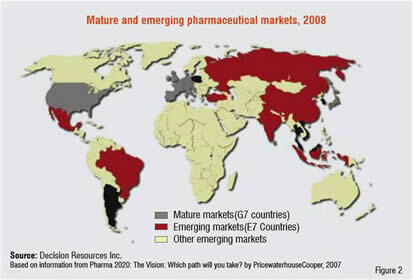 As the recent report Pharma 2020 by Pricewaterhouse Cooper predicts, Asia’s market will grow at a rate of 10-22 per cent in the coming years, much faster than the mature markets of United States and Western Europe with growth predicted at just 2-4 per cent a year (Figure 2). In addition, the Economic Intelligence Unit suggests that by 2017 Asia will host three of the world’s largest economies, with China moving into second place above Japan and India leaping from 12th to 5th position. The convergence of a powerful Asian economy coupled with a future focus on biologics has led to new thinking in the corridors of Roche. While other pharmaceutical companies are using Asia for manufacturing sites or to run clinical trials, Roche sees further potential in realising the innovation in drug discovery and development that is growing in this market. This has been demonstrated through the ongoing partnership presence Roche has in Japan, with employees based in Tokyo dedicated to building alliances and existing partnerships including Japan Tobacco and notably Chugai, who Roche have partnered since 2002. This close partnership has seen a sharing of intellectual and infrastructure resource, whilst the importance of retaining independent integrity is felt to be of high importance. In addition, the company has recently opened a dedicated partnering office in Shanghai to foster new collaborations in the region, with an emphasis on the North Asian markets of China, South Korea and, Taiwan and Singapore in South East Asia, which is already a leader in pharmaceutical research in the region. For Roche, it’s essential to have people on the ground able to spot opportunities first-hand and to understand local requirements. It’s difficult to do that from a desk in New York or Basel. Top of Roche’s wish list are technologies to administer future mAb therapies. Currently, most antibody-based treatments are given intravenously as they are based on large molecules and given at high doses, requiring costly time in hospital and reducing a patient’s quality of life. Subcutaneous drug delivery may be one new option and Roche is actively looking for other ideas. 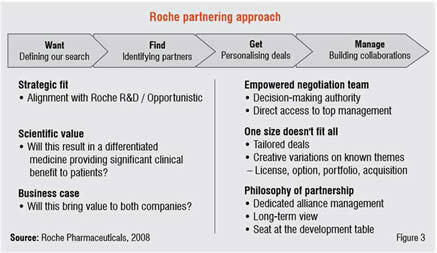 Roche has a long-standing reputation of tailoring its alliances to meet the needs and growth ambitions of its partners when constructing deals and is bringing this collaborative approach to Asian academia and biotechs in the hope that it will result in new and differentiated medicines (Figure 3). Biologics is an area that Roche knows well. In 1997, it launched Rituxan / MabThera (rituximab), the first monoclonal antibody treatment for non-Hodgkin’s Lymphoma (NHL). This was the result of a partnership between Genentech, Idec (now Biogen Idec) and Roche. With efficacy which, when added to normal chemotherapy, substantially increases time living without disease progression and can increase overall survival without adding to the burden of toxicity. The drug became established as the gold-standard treatment for NHL and became the first launched mAb product to achieve blockbuster status. successful in recent years being Avastin, an anti-angiogenic treatment approved for the treatment of colorectal, breast, lung and kidney cancers, and developed in partnership with Genentech. Without investment from large pharmaceutical companies, the fledgling biotech industry in Asia may have difficulty maturing. However, public support is certainly helping. 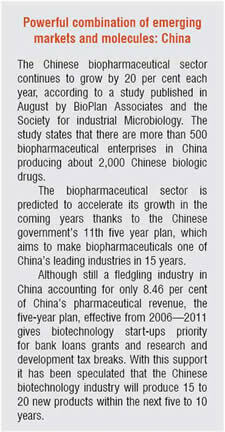 China has publicly stated its commitment to develop biopharmaceuticals as one of its leading industries of the future and is giving biotechnology start-ups priority for bank loans and R&D tax breaks. In addition, China has streamlined its drugs approval process and issued comprehensive IP protection plans, while reforms to the Shanghai and Shenzen stock exchanges will promote market activity and make it easier to invest. Overseas-educated Chinese talent is also returning home. Recently such commitment in China saw the foundation of the Shanghai Cell Engineering and Antibody Centre, formed to bring together five academic and private companies with government supported funding. Its focus is to develop effective cancer vaccinations and monoclonal antibody-based immunotherapies. It is the combination of public and private investment that will create the critical mass that Asia needs to become a truly global player in biotechnology. With true innovation starting to appear from the laboratories of China and other Asian countries, western pharmaceutical companies are strengthening their relationships beyond the usual collaborations of drug manufacturing and clinical trials. The time is right for significant partnerships to be developed between pharma and Asian biotechs, which have the potential to exponentially grow the Asian biotech market and turn early companies into global biotech leaders. Frank Grams was instrumental in setting up the new Shanghai office of Roche Pharma Partnering. 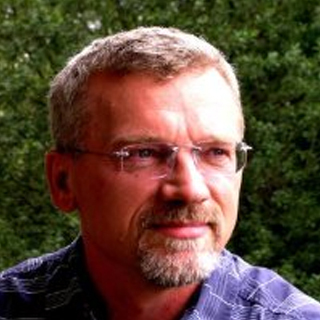 He has managed pivotal research alliances such as Chugai, Evotec, SGX, Syrrx and Biotie for Roche. 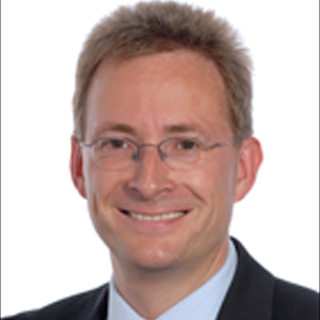 Anton Haselbeck is currently Head of New Technologies at Roche Pharma Research in Penzberg, Germany, and responsible for external access to technologies in the area of protein therapeutics.